Medical cannabis refers to the use of the cannabis plant and its component cannabinoids as medical therapy to relieve pain or helping to reduce symptoms. Learn about medical cannabis, the research to support its use in a range of conditions, and pathways to access. GreenChoices is committed to providing comprehensive information regarding research into cannabinoid therapy for both patients and practitioners. Chemotherapy-induced nausea and vomiting (CINV) is one of the most severe and upsetting side effects of cancer treatment. Nausea is an uneasy feeling in the stomach with the urge to vomit. Vomiting, also called emesis, is an involuntary reflex that pushes the stomach contents out through the mouth. Not everyone who takes chemotherapy medicines will have nausea and vomiting. Whether a person gets CINV and how severe it will be depends on the type of medicine, dose and factors individual to the patient. Nausea and vomiting from chemotherapy is not yet fully understood. 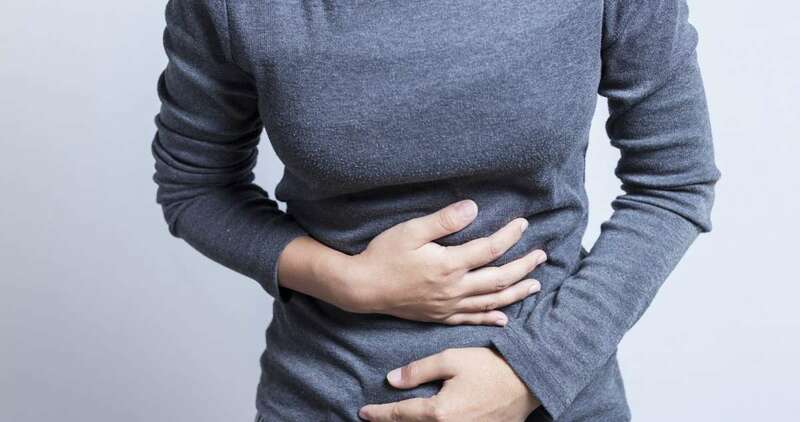 It is thought that these medicines activate receptors in the small intestine which send a signal to the part of the brain that triggers vomiting. Damage to intestinal cells from chemotherapy may also make the body release signals that cause vomiting. Some chemotherapy drugs are more likely to cause CINV than others. Higher doses and combinations of more than one chemotherapy drug increase the risk of CINV. Women and younger people are more likely to get CINV than men and older people. Genetic differences can also make a person more likely to get CINV. People who have a history of high alcohol intake are less likely to get CINV. Acute emesis (vomiting) happens in the first 24 hours after chemotherapy. It usually starts within one or two hours and reaches its worst point between four and six hours. Delayed emesis happens more than 24 hours after chemotherapy. Anticipatory emesis happens before chemotherapy. It is a conditioned response in patients who have had severe nausea and vomiting from previous cycles of chemotherapy. Nausea makes people feel like their stomach contents are churning or “doing flips”. Retching occurs when there is no food in the stomach to vomit and only a small amount of clear liquid comes up. People with CINV may also have raised heart rate, lightheadedness, sweating, dizziness, a pale or grey appearance, increased salivation, loss of appetite and weakness. CINV usually goes away after one or two days but in some cases it can last for three to four days. People lose a lot of fluids from vomiting. If these fluids are not replaced, the body may not have enough to function properly; this is called dehydration. Signs of dehydration include dark urine, dizziness, fatigue, thirst, headache and dry mouth. A healthcare professional can provide more information on how to avoid dehydration. Ongoing nausea and vomiting can make it difficult to eat well, leading to nutrient deficiencies and weight loss. Uncontrolled CINV can tear the oesophagus and reopen surgical wounds. Severe nausea and vomiting may make people withdraw from cancer treatment which would have helped them get better. The goal of treatment is to completely prevent CINV. Doctors use anti-nausea medicines called antiemetics for this. It is thought that cannabis-based medicines suppress nausea and vomiting by interfering with nervous system signals, specifically at the CB1 (endocannabinoid) and 5-HT1A (serotonin) receptors. 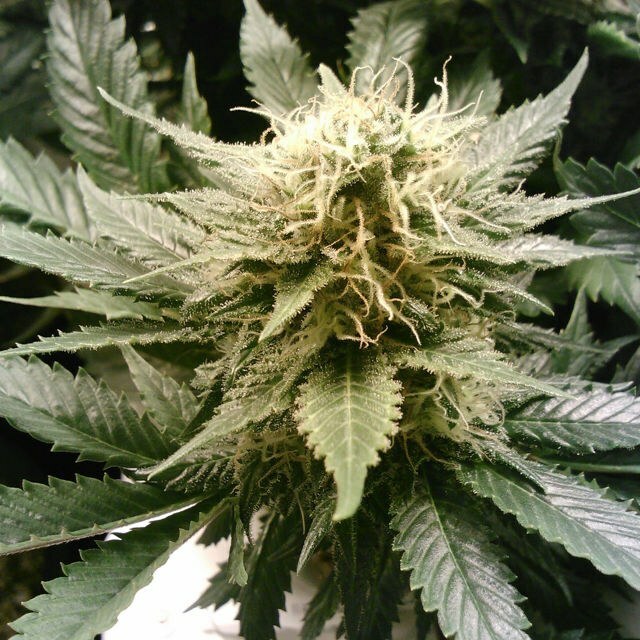 The cannabis plant contains many compounds which are active in the human body. At present, most of the research on cannabis for treatment of CINV focuses on THC (tetrahydrocannabinol) and related synthetic compounds. Dronabinol is a man-made, purified form of THC that is approved in the USA for treating CINV. Nabilone, a man-made compound similar to THC, is also approved in the USA for CINV. Researchers looked at the efficacy of cannabinoids to treat CINV in a systematic review of 28 studies (Whiting et al., 2015). Cannabinoids investigated were nabilone, dronabinol, nabiximols, levonantradol and THC. Studies included a placebo and/or a conventional antiemetic for comparison. The most common antiemetics included were prochlorperazine, chlorpromazine and domperidone. When taken together, all studies suggested a greater benefit from cannabinoids compared with both conventional antiemetics and placebo, but the benefit was not statistically significant in all studies. The review also found that the risk of side effects was significantly higher with cannabinoids, including serious adverse events. Side effects included dizziness, dry mouth, nausea, fatigue, somnolence, euphoria, vomiting, disorientation, drowsiness, confusion, loss of balance and hallucination. Currently published research is limited by small sample size and lack of comparison with newer antiemetics. Long term effects of cannabis usage and interactions with other medicines are not yet fully understood. Further large scale, long term clinical trials are needed. One promising study funded by the New South Wales government is currently in progress in Sydney. This trial compared the efficacy and tolerability of dronabinol with a placebo and ondansetron, a conventional antiemetic medicine, in treatment of CINV. This was a double-blind study which means neither patients nor staff knew which treatment was administered. 64 patients receiving chemotherapy were given ondansetron, dronabinol, a combination of both or a placebo for five days. Results showed reduction in nausea and vomiting was similar for ondansetron and dronabinol. Combination therapy was not more effective than either agent alone. Both treatments were well tolerated. This double-blind study compared efficacy and tolerability of THC with traditional antiemetic prochlorperazine in treatment of CINV. Patients given THC experienced more drug-related side effects, including reduced ability to concentrate, less social interaction and less activity, however these did not reduce preference for the drug. This double-blind study also compared THC with prochlorperazine and a placebo in treatment of CINV. 116 patients receiving chemotherapy for gastrointestinal carcinoma were given either THC, prochlorperazine or a placebo. Results found that although THC and prochlorperazine had similar efficacy in reducing CINV, THC had significantly more frequent and severe side effects in the population of largely elderly adults. The study concluded that “THC therapy resulted in an overall more unpleasant treatment experience than that noted with prochlorperazine or placebo”. References available at end of page. The Content is not intended to be a substitute for (a) professional medical advice, diagnosis, or treatment; (b) professional legal advice or guidance on legal or regulatory issues; or (c) information from manufacturers or suppliers in relation to products or product information. Always seek the advice of your physician, qualified health provider, qualified lawyer, or authorised manufacture or supplier in respect of such matters. This Site is provided on the basis that all persons accessing the Site undertake responsibility for assessing the relevance and accuracy of the Content. Interested to know if you are eligible? Lane M, Vogel CL, Ferguson J, Krasnow S, Et Al. Meiri E, Jhangiani H, Vredenburgh JJ, Et Al. Please note: this reference material is informational and does not constitute as advice. Furthermore, the information you are being referred to may not comply with the Australian regulatory environment. GreenChoices recommends any information provided should be discussed with a healthcare professional and does not replace their advice. Get regular updates about the science of cannabis straight into your inbox. © Copyright Green Leaf Choices 2018. If you have consented to GC displaying or advertising a clinical trial on the Site then you agree that the Providers provide any information you provide about the clinical trial and your name and contact details to the public, including through email and newsletters, and also to private and governmental third parties. Any information or advice provided or displayed on the Site in connection with any products (including medicinal cannabis products) or services (including support or assistance with regulatory matters), supplied or provided by third parties or the Providers (“Products & Services”) is provided solely on an informational basis and, in the case of third party Products or Services, relying on information or advice received by the Providers from such third parties from time to time. Any information (including any product information or consumer information) on Products & Services displayed on the Site is published on behalf of the relevant supplier of that Product or Service. Although reasonable efforts are made to ensure information and advice made available on the Site is from appropriate sources, you acknowledge that the Providers have not independently verified or confirmed the accuracy or appropriateness of any information or advice received from third parties or of any Products & Services provided by third parties. The Provider and its Representatives take no responsibility for such information and shall not be responsible for the continued currency of the information or for any errors, omissions or inaccuracies in such information whether arising from negligence or otherwise, or for any consequences arising therefrom. You agree that the Providers may contact you to discuss whether you would like assistance from GC in connection with any GC Services. You further acknowledge and agree that any request to view or understand any Product displayed on the Site has been made independently by you and that such request has not been solicited by the Providers, their Representatives or any supplier of that Product. You acknowledge that, provided the product supplier has suggested or recommended that a product may be used for a particular condition, illness or disorder, that the Providers and the Site may select certain products within such group of products as priority responses to search terms you enter for that condition, illness or disorder. and you release, indemnify and hold harmless the Providers and their Representatives from any claim or liability whatsoever for any loss, cost, damage or expense whatsoever (including direct, indirect or consequential, punitive loss or special) that you or your patients may suffer in connection with the reliance on or use of such information or such Products and Services. The liability of the Providers for a breach of a non-excludable condition or consumer guarantee warranty in relation to any Services provided by the Providers is limited to re-supply of the Services. Where you have provided consent to display your business phone number, email address, profession or company to the public directory, you consent to the Providers providing such information to the public, including through email or newsletter communications, and also to private and governmental third parties in connection with building information networks and registries of medical practitioners. You agree that none of the Comments submitted by you to the Site will violate any right of any third party, including copyright, trademark, privacy or other personal or proprietary right(s). You further agree that none of the Comments submitted by you to the Site will be or contain libellous or otherwise unlawful, abusive or obscene material. You are and shall remain solely responsible for the content of any Comments you make. Nothing contained on the Site grants or should be construed as granting, any license or right to use, implied or otherwise, any trademarks, trade names, service marks, trade dress, copyrighted or other proprietary material displayed on this Site without the prior written consent of the Providers or the owner of such material. All rights not expressly granted herein by the Providers to you are reserved by the Providers or their licensors. Third-party trade names, product names and logos, contained on the Site may be the trademarks or registered trademarks of their respective owners. Your registration was successful, and is currently being reviewed. Once it has been approved, you will have full access to the Healthcare Professional Portal.